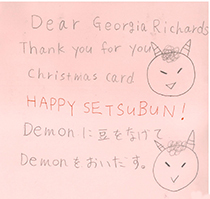 In response to the wonderful Christmas cards we received from our friends at St. Mary’s College in Ipswich, Australia, the grade 2 junior high school students made Setsubun greeting cards which were delivered last week, just in time for Setsubun. 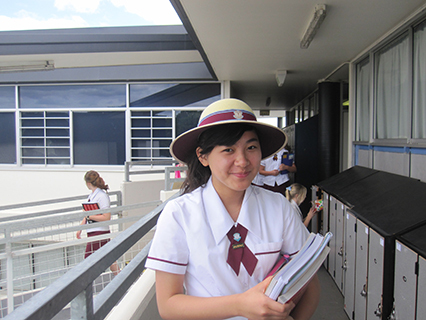 The students in the Japanese classes were excited to receive the cards in the very first week of the new school year in Australia. 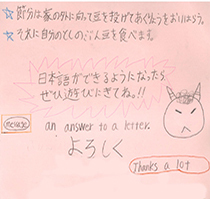 We hope it will motivate them to study Japanese hard this year and to eat lots of healthy beans!